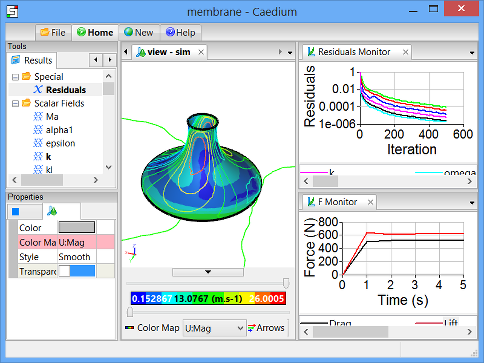 Caedium v5.0 is ready and waiting for your Computational Fluid Dynamics (CFD) pleasure. 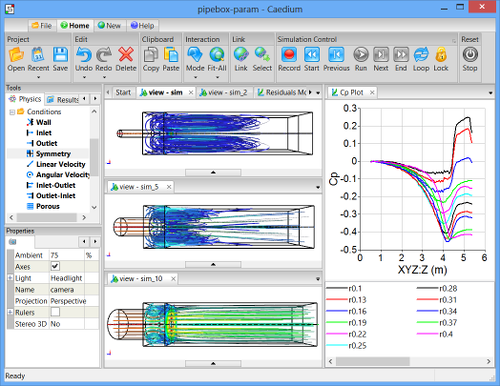 The highlight of this release is Python scripting to automate your CFD simulations. To celebrate the release, enjoy this special edition newsletter that collects together the official announcement and all the sneak peeks of the new features available in Caedium v5.0. We are still posting sneak peeks of the next release of Caedium, which can only mean one thing - we are rapidly approaching its release date. This month we can share a sneak peek at the enhanced Accuracy tool. Also, it being April, I can share the details of this year's Symscape April Fools' Day prank, though I'm sure you weren't fooled. Finally catch up with the latest news on the GPU acceleration available in Caedium that I presented at the recent GPU Technology Conference. 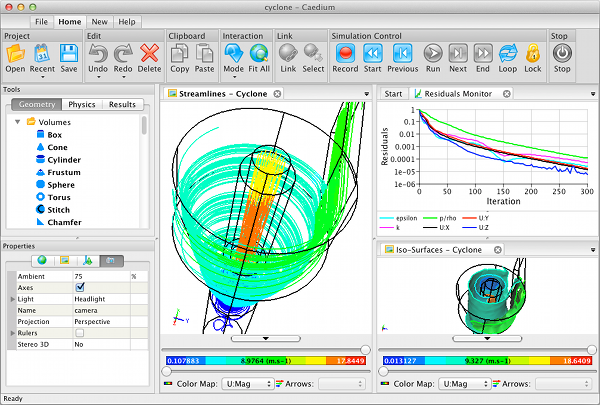 The big news in Symscape-land is the new ribbon GUI that will be making its debut in the next release of the Caedium CFD software system - check out the picture below. 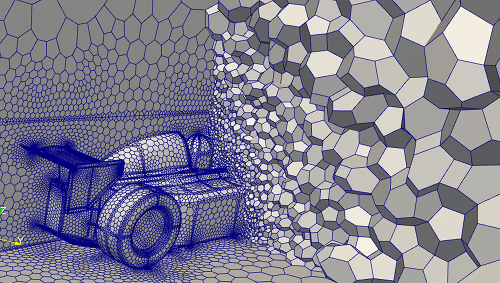 As a follow up to last month's announcement of the new polyhedral mesh conversion option coming soon to Caedium, find out how polyhedral elements perform relative to tetrahedral and hexahedral elements. Then for easy reading you have my latest blog post. 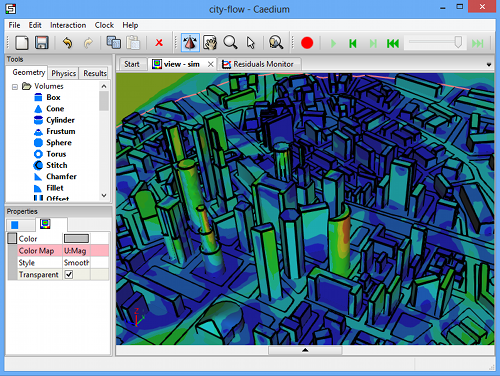 Clearly it's time we revealed what you can look forward to in the next release of the Caedium CFD software system. Grab a cup of coffee, sit back, and read all about the new polyhedral (dual) mesh feature in Caedium v5 that will save you time and increase the accuracy of your results. Still have a free moment? Then enjoy my latest blog posts. Holiday and gift-giving season is upon us, so what can you expect to unwrap in the last Symscape newsletter of 2012? 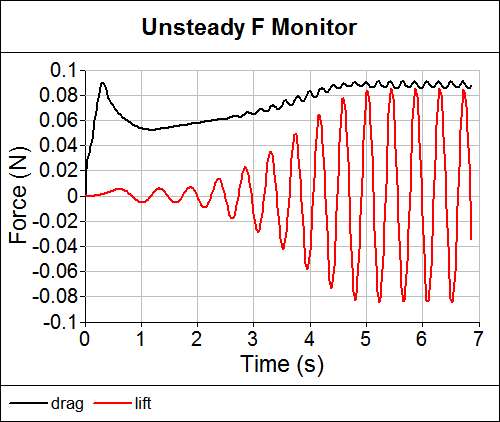 How about tips on when to use an unsteady Caedium Professional CFD simulation? Coverage of Caedium's appearance at SC12 with Asetek? The latest batch of blog posts? We've got it all covered. Thanks for supporting Symscape in 2012 and keep it right here for more Symscape goodness in 2013. It's November and therefore it's Supercomputing Conference time. Caedium Professional is playing a starring role at SC12 as part of Asetek's extreme live demonstration of their state-of-the-art water cooled HPC cluster. If you are interested you can find more details below. 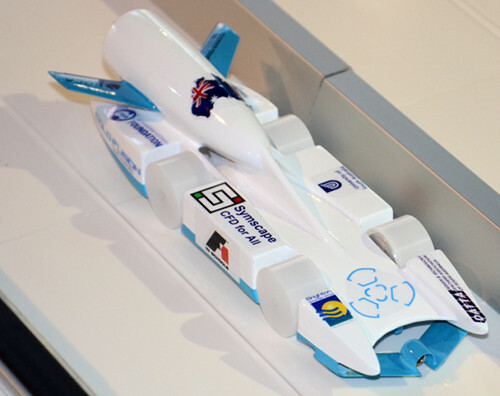 Also this month we've seen a series of great results from F1 in Schools teams using Caedium, which included the Cold Fusion team being crowned the F1 in Schools World Champions. In addition to these great stories we also have an eclectic mix of blog posts. Since the release of Caedium v4, we've received a number of requests on how to perform CFD simulations for the air flow over tensile structures. If you are a tensile structures engineer then be sure to check out the two new Caedium tutorials we recently posted just for you. 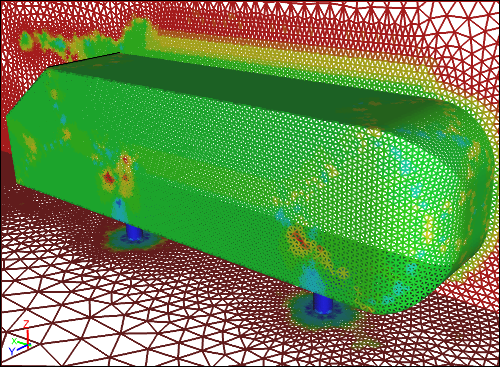 While you are here also catch up with a new electronics cooling CFD example and our recent blog posts. I hope you've had a chance to try the new Caedium v4 release we announced last month. To help you get started we added four tutorials covering some of the new capabilities. Keep reading for more details on the new tutorials and for the teasers to our recent blog posts. 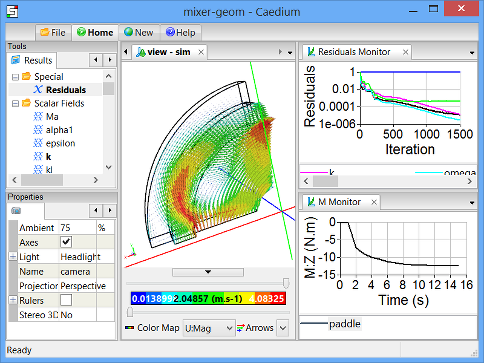 We couldn't wait any longer to tell you that Caedium v4.0 is finished and awaits your CFD simulations. 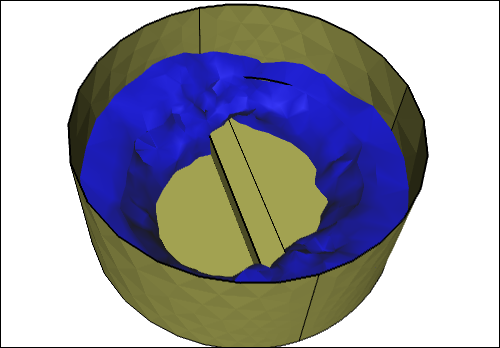 The highlight of this release is the ability to simulate free surface flows using a Volume of Fluid (VOF) multiphase solver. Also, just in case you missed the steady stream of sneak peeks about the other new features in this release, you'll find the full collection below.